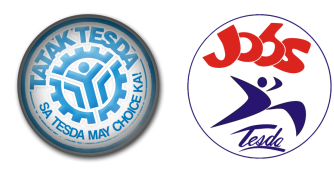 Hezekiah Vocational & Technological Training Institute (HVTTI) Inc.
Technical Education and Skills Development Authority (TESDA) Director General Joel Villanueva enjoined students entering senior high school starting the academic year 2016-2017 under the K to 12 curriculum to get into the technical-vocational-livelihood track as their specialization. "Tech-voc graduates land in jobs at once, especially those in occupations that are in-demand," Villanueva said. Citing the 2013 Impact Evaluation Survey of TVET (Technical Vocational Education and Training) Programs, the TESDA chief noted the improvement on the employ-ability of tech-voc graduates during the Aquino administration. Employment rate of graduates in the construction sector registered at 78 percent; agriculture and fishery (77 percent); metals and engineering (72 percent); garments (79 percent); processed food and beverages (70 percent); and, health, social and other community development services (71 percent). "These are tangible results that show bright prospects for graduates of tech-voc. Students can never go wrong in taking this path," Villanueva said. The K to 12 is a flagship education program of the Aquino administration, which adds two years of senior high school to the current 10-year education curriculum. in its Basic Education Program midterm report, the DepEd said that 50.6 percent of the incoming senior high school students or about 1.14 million students will take academics and 46.5 percent or about 1.04 million students will get into the tech-voc-livelihood track. The rest of the incoming senior high school students indicated they will take arts and design (1.4 percent or 32,000 students) and sports (1.4 percent or 32,000 students). Education Secretary Armin Luistro estimated that for the academic year 2016-2017, there will be 1.2 million to 1.6 million students who will enter Grade 11 and the same number are expected for the academic year 2017-2018. The four tracks or specializations will be offered to the students when they enter senior high school or Grade 11 under the new curriculum. According to DepEd, the students will undergo several assessments to determine their interests and strengths. These will include an aptitude test, a career assessment exam, and an occupational interest inventory for high schools, and should help students decide on their specialization. Villanueva said TESDA programs and courses are continuously being improved and new set of training regulations are being developed for the quality implementation of K to 12. Technology and livelihood education teachers and supervisors were also required to undergo training to be ready to teach the new batch of students who will take the tech-voc track.